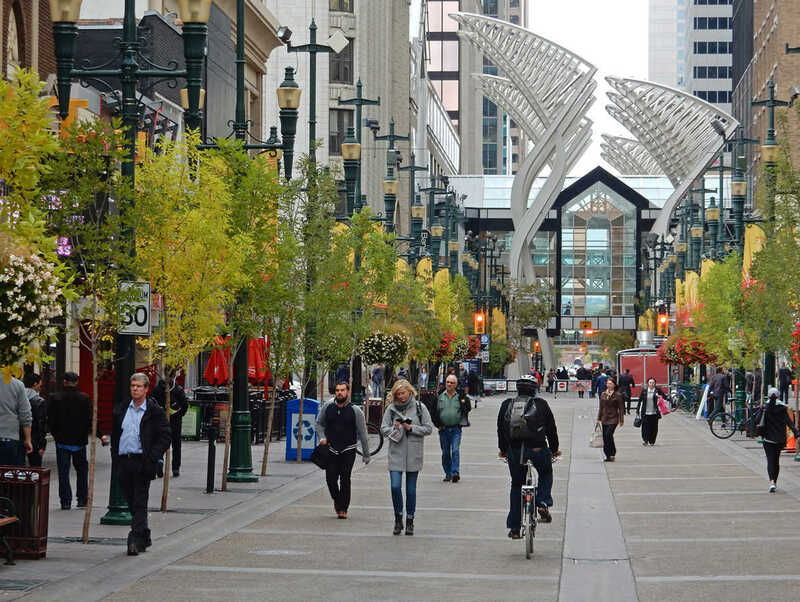 After the adoption of the International Walking Data Standard the debate in Calgary has taken us a step further in better understanding travel and pedestrian behavior using new technologies. We’ve asked ourselves how the advances in Big Data and analytics can be leveraged for positive changes in the policy and the built environment for people on foot. We started out with the news that Transport for London (TfL) has adopted the International Walking Data Standard and several other cities/countries are following most of the Standards recommendations without having formally adopted them. Kristina Hill from the city of Calgary presented her city’s travel survey methodology with the exciting result that most of it is in line with the Standard as well. This will allow for comparisons with other cities once the data is prepared and analysed. Stay tuned for results on this website. Also from Calgary, Francisco Alaniz Uribe talked about his interesting research on walking behavior and the built form using drones and virtual reality besides traditional methods. His input was followed by three presentations over the web: Norbert Braendle from the Austrian Institute of Technology AIT and Anna Clark from Trivector in Sweden described how they capture travel survey data using GPS apps. Stefan Seer, also from AIT, focused on the analysis and optimization of pedestrian flows. Each roundtable debate aimed to create an understanding where the state-of-the-art with these technologies is, what further improvements are needed and how the resulting data can be used to improve the situation for pedestrians. The programme as well as the presentations can be downloaded beside. The summaries of the round table talks will follow shortly. Anna Clark, Trivector, Sweden: Digital travel survey method using smartphones: what can it mean for data on walking?